Influenster is a product discovery and review platform that aids consumers in making informed decisions. I am one of many Influensters that tries products and writes reviews. Based on my profile, Influenster may select me to be apart of a product campaign. Campaigns involve themed VoxBoxes. A Voxbox is a box filled with the themed items and shipped out to select Influensters. 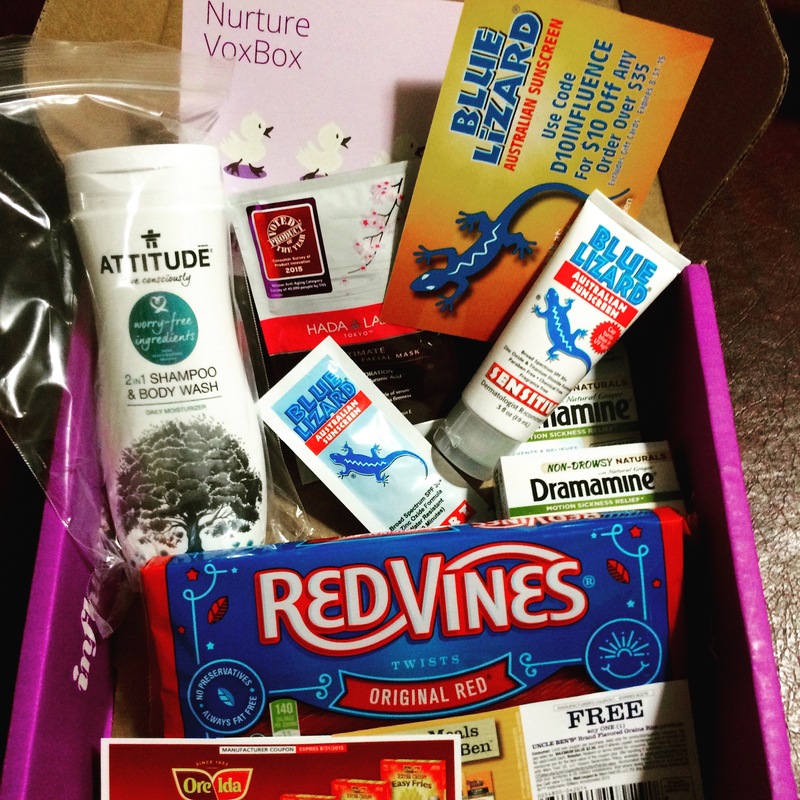 The latest campaign I participated in was the Nurture VoxBox and it contained several nurture related products for me to use and review. Although I was given these products free of charge, all opinions and reviews are my own. 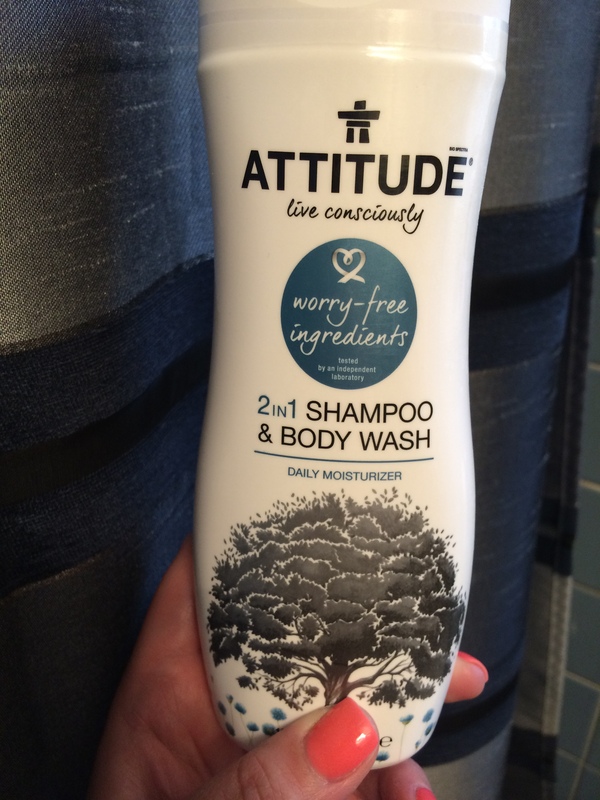 This review will focus on a 2-in-1 shampoo and body wash made by ATTITUDE and sold at Target. Their major selling point is having “worry-free ingredients” meaning that all ingredients are safe and toxin free. On the back of the bottle it states that some hair products have legally tolerated contaminants but you won’t that in ATTITUDE products. The number one reason I was excited about this 2-1 was being able to possibly clear the clutter in my shower. I thought…..Awesome, everyone in the house could use one product for everything. Saving space and money are important when you have a family, at least I think so. The smell is pretty pleasing, it’s a very fresh and typical body wash smell. Moderate suds, which is great, because I hate a body wash that doesn’t get nice and sudsy. My bottle was 12 oz. and it lasted the month and still has a little left. I used this product regularly for one month and my family sporadically used it as well. Halfway through the month I had to stop using it as a shampoo. I have very fine hair and ATTITUDE was just too heavy, it weighed my hair down and made it very greasy within a day. It is a nice body wash so my next ATTITUDE purchase will be just body wash not the 2-1. The bottom line: ATTITUDE 2-1 is perfect for families with small children. It does make life simple and clutter free while providing non-toxic ingredients with a fresh scent. The shampoo part of the 2-1 is not specific to hair type including texture and color treated. I am not sure if ATTITUDE has a specific hair type products at this time but it would be cool if they do. If you have children then I fully recommend that you give it a try.